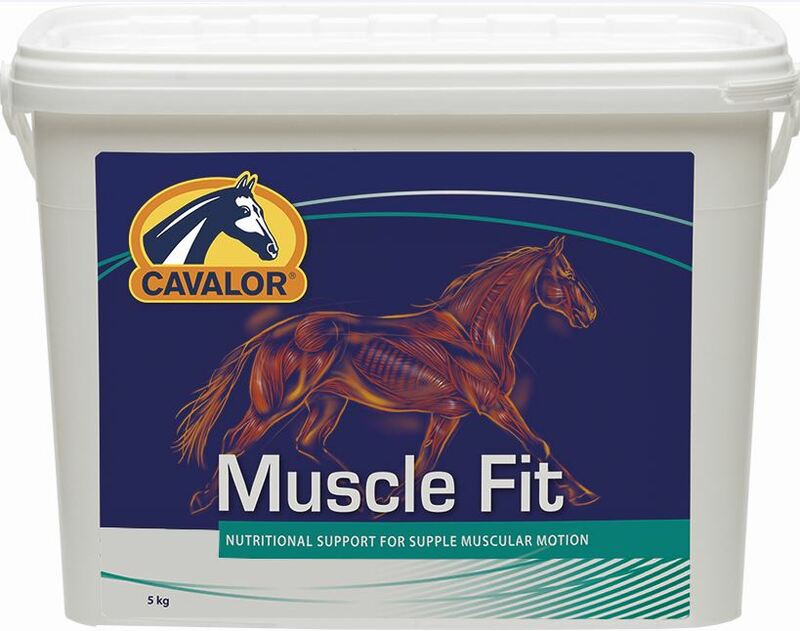 Cavalor Muscle Fit can be given daily, long term, in horses prone to muscle problems. For general muscle support & flexibility in competition horses, it can be given daily for 2 days before, during & after competitions. Cavalor Muscle Fit contains Vitamin E & Selenium, known to work synergistically against muscle damage & stiffness. It also contains Vitamins B & C (antioxidants); MSM; Whey Protein Isolate (a powerful antioxidant); organic minerals (increases the overall bioavailablility); potent buffers to reduce lactate production; Lysine & Methionine (essential amino acids for muscle build up). This product does not contain any FEI prohibited substances and is safe to use during competitions. It is highly recommended by vets and other professionals in the Equine field.